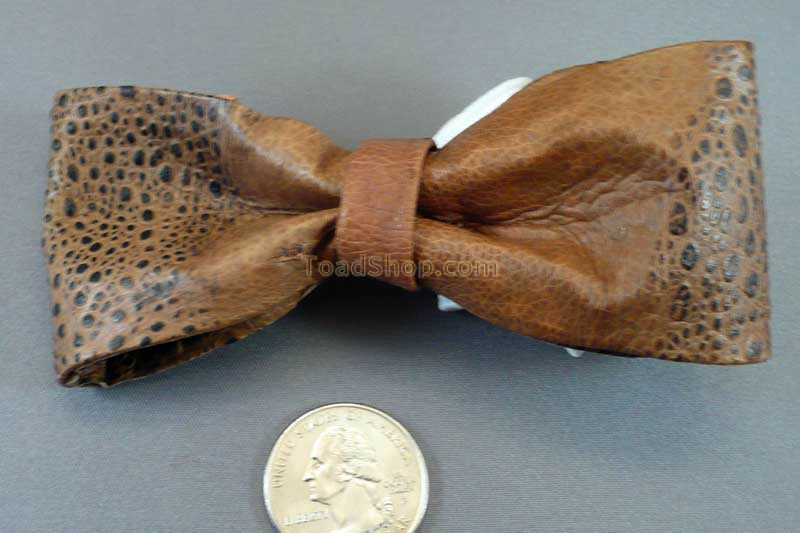 A Bow Tie made of Australian Cane Toad leather. The toad head is removable for more "conservative" events. 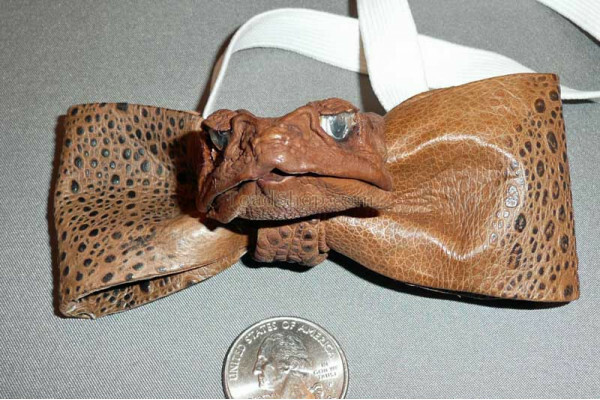 What else does the "professor" in your life need besides a cane toad bow tie? One can almost guarantee that a science teacher will get a lot of laughs from the students in the front row once they realize what is on the teacher’s neck. 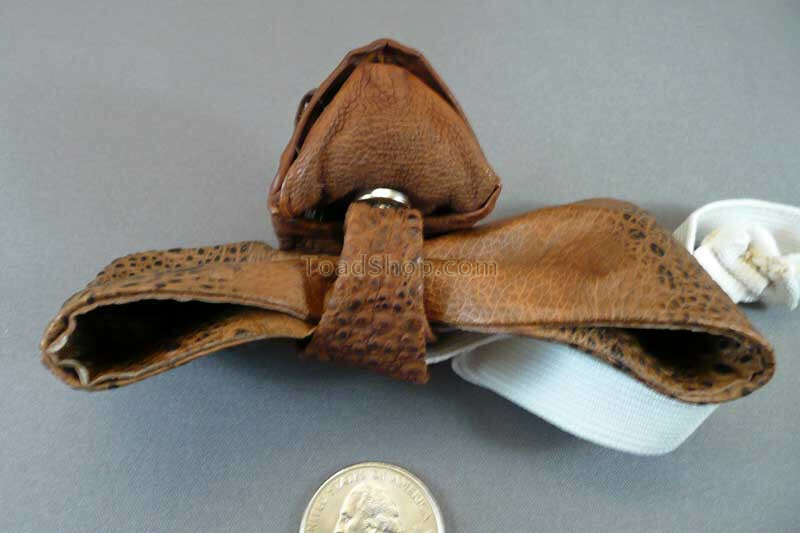 Or how about the biology groom-to-be wearing it the night of his rehearsal dinner?